My reading mojo has been off for most of this year after having re-read all of Harry Potter over the Christmas break. Having gone back to work and with all the dull grey winter weather we've had over the past few months I've been barely in the mood for anything aside from becoming a blanket burrito on the sofa in front of Netflix most evenings, along with copious amounts of green tea. However over the last month or so I've had a number of meetings up in London so I started throwing a book into my bag to give me something to do on the train journey. I ended up reading a book I was given for my birthday last year as it wasn't too big and was a non-fiction book which I've been really enjoying recently. 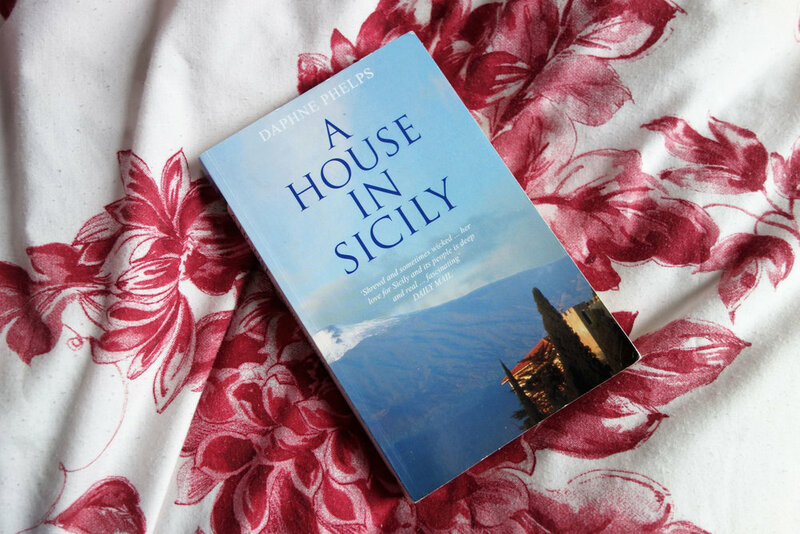 I read A House in Sicily over the course of a couple of weeks and really enjoyed it. The Blurb: Just after the Second World War Daphne Phelps takes on the upkeep of Casa Cuseni, a house on the hillside in Taormina with views over Mount Etna. What follows are Daphne's stories of her time in Taormina, the people she meets and the adventures she has with looking after Casa Cuseni. A House in Sicily was an interesting read. I've never been to Sicily but it's definitely one of the places on my list and this book did a really great job of painting a very vivid picture of life in Sicily after WWII. I didn't enjoy it quite as much as the Lemon Book, but then it is a very different type of non-fiction book. A House in Sicily portrays a very different life, a life of hanging out with creative famous people like Roald Dahl, Henry Faulkner and Tennessee Williams and having dinner with Mafiosa bosses! This Daphne Phelps was one interesting lady. The stories were first published in 1999 when she was 88 and the afterward suggests that there might have been some self-censorship which totally makes sense in the context of the period, and also who wants to share every single detail of their life with the world? I would recommend A House in Sicily if you're looking for a nice gentle non-fiction book that transports you back to a post war time.